Chandler, AZ January 9, 2014 — New car, new program, but same old determination… DragonFire is elated to announce that we are back in “Best In The Desert” for 2014 with long-time sponsored driver Lacrecia Beurrier! The desert racing season kicks off this weekend at the historically brutal Parker 250. Located on the Arizona side of the Colorado River, Parker is the ultimate proving ground for all the team’s off-season efforts. All teams except for Team DragonFire that is. 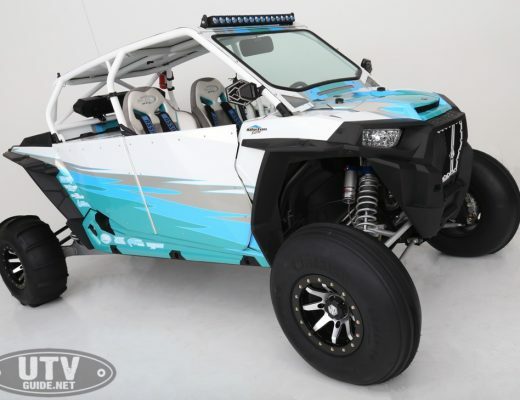 The two-time Mint 400 champion has parked her old Polaris and enters Parker with a new Can-Am ride. “It is always crazy at the start of a new season, but this year is really off the chart,” says Lacrecia. 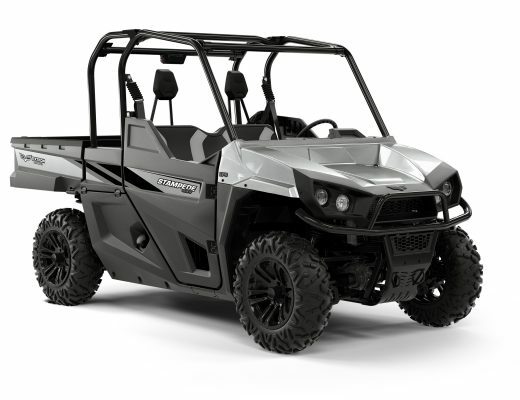 In fact, so crazy that there simply was not enough time to finish off her new Can-Am, so she will be be piloting a Rowdy Dawg-built Can-Commander 1000 at the first race of the year. “Come March 2014, Lacrecia and DragonFire will be unveiling a brand new race car and program that we can not quite talk about just yet,” says co-driver and DragonFire Social Media Marketing Manager, Chris Moore. “But believe us when we say it’s going to be BIG news!” Literally and figuratively as Lacrecia looks to make the jump from the Sportsman Class to the premier Pro 1000 ranks. “Time for her to show the big boys how it’s done,” claims Chris. Lacrecia says she is excited to start mixing it up with the faster cars and really looking forward to adding her name to the list of winning drivers at the top level of UTV desert racing. “After my first ‘race’ at the MORE Powder Puff Race For The Cure to support breast cancer awareness, I have wanted to compete against the top level teams.” Thanks to sponsors like Can-Am, DragonFire, RideNow, Rockstar Customs and Rowdy Dawg, that dream is becoming a reality. However she will still be sporting the pink breast cancer awareness ribbons in recognition of her racing roots and to continue to call attention to the cause. In the meantime, keep your eyes on the #1924 Can-Am Commander at the Parker 250 BITD season opener as this lady races for a reason! You can’t miss the pink ribbons and pink trim. This two-time Mint 400 winner races for a reason — she is out to honor the survival, determination and compassion of those fighting breast cancer. The pink ribbon for breast cancer awareness is not something Lacrecia just slapped on the car last October during Breast Cancer Awareness Month. “Racing For The Cure is where it all started for me,” she says. “My first race in my old Rhino was a charity event to raise money for the program.” Lacrecia quickly went from charity events and powderpuff racing to the real deal, competing in what is billed as America’s toughest off-road race, the Mint 400! Not only did she finish the race, she won the Sportsman UTV class first time out and then came back to successfully defend her title… proudly running the ribbon and pink trim for both her Mint 400 wins. She is a true champion, on and off the track — when she is not ripping it up on the race course, Lacrecia’s “real” job is a registered nurse in Lake Havasu, Arizona. Lacrecia’s racing effort brings awareness to a serious cause. DragonFire, Can-Am and RideNow are honored to have teamed up with Lacrecia’s Rockstar Custom Motorsports effort this season. Look for Lacrecia at the Parker 250 in preperation for a return to the Mint 400. To learn more about the pink ribbons, click on ww5.komen.org and see http://rockstarcustomz.com for details on Lacrecia Beurrier’s program.